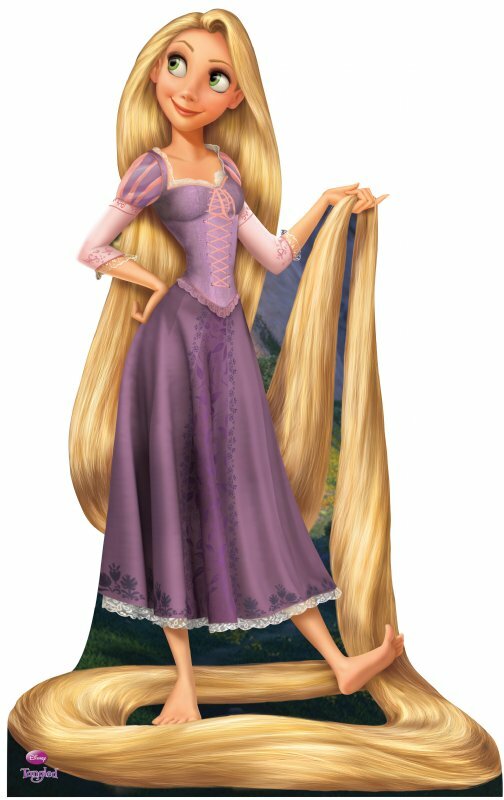 Disney will officially welcome Rapunzel as the 10th Disney Princess character at a high profile, star studded celebration, to take place in front of a global audience at Kensington Palace, London on 2 October 2011. The event will see Rapunzel welcomed into the Disney Princess royal court alongside Ariel, Aurora, Belle, Cinderella, Jasmine, Mulan, Pocahontas, Snow White and Tiana. In a world first, Kensington Palace was chosen as the perfect location for this magical welcoming ceremony of a Disney Princess as it has been the home of many real life Princesses over the centuries. The festivities will include a procession through Hyde Park, party activities and an amazing welcoming ceremony. 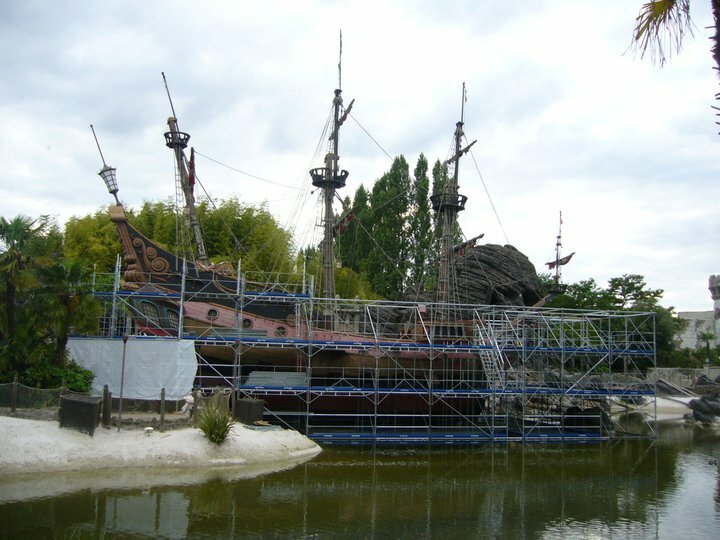 More scaffolding has appeared in Disneyland Paris, as work has stated to cover Captain Hook’s Pirate Ship in Adventureland which will soon replaced by a new brand new galleon. 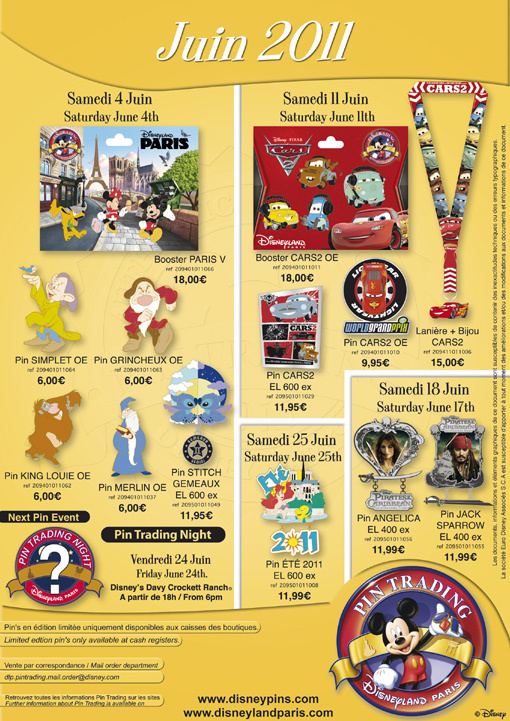 ﻿Here are the pins being released in June at Disneyland Paris. 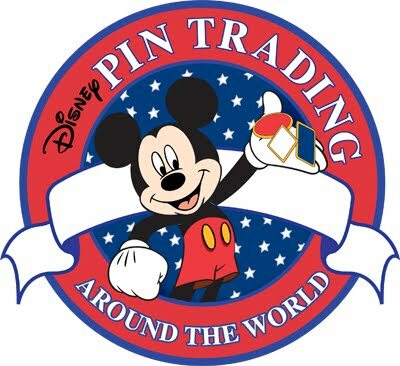 The next Paris Pin Trading Night is on Friday 24 June at the Davy Crockett Ranch from 6pm. South Chadderton Methodist Church, Thompson Lane, Chadderton, Oldham OL9 8LX. All the money raised will go to The Scott Ward Schofield Memorial Fund, a charity that has been set up in the memory of pin trader Scott Ward who passed away last year. The charity raises money to send children and young adults who suffer from Epidermolysis Bullosa (EB) on much needed holidays with their familes. Tickets cost £10 for Adults and £5 for Children (under 7s free). A family ticket for 2 Adults and 2 Children costs £25. There will be a raffle on the day to win lots of Disney goodies and parking is free and there are a few pubs nearby for pub lunches and a Mcdonalds. Located in between Oldham and Manchester it is easliy accessed just off the motorway or if traveling by bus its the 81 from Manchester City Centre.